Twist cars are amazing ride-on toys with more fun on wheels for little ones. This fantastic aircraft shape twist Car Ride-On from branded company has innovative movement feature where no battery and no paddle are required. By simply twisting the steering, twist car will move forward. Perfect for beginners with lots of fun! 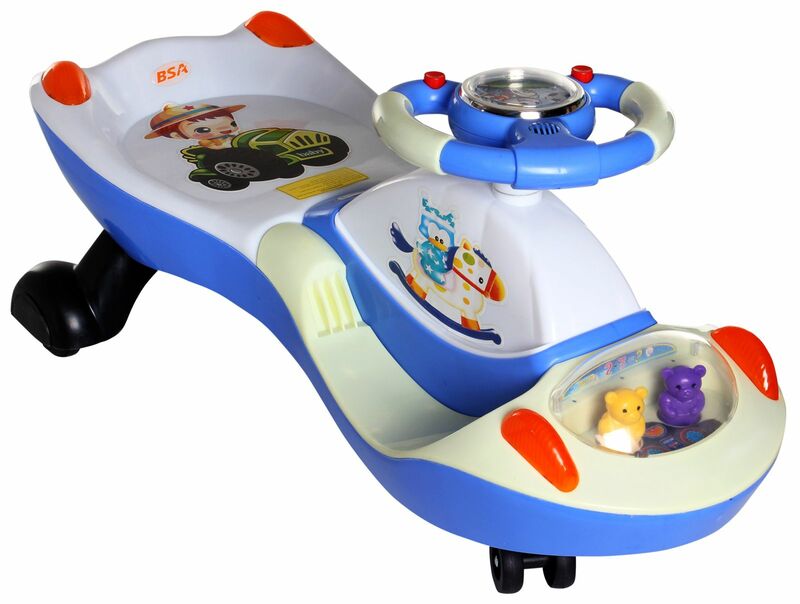 this car is suitable for both indoor and outdoor play. Twist Car Ride-On works on the forces of inertia, centrifugal force, gravity and friction. By simply twisting the handle one way and then the other, the twist Car will move forward. So you just have to twist and turn the steering to make the ride-on move. 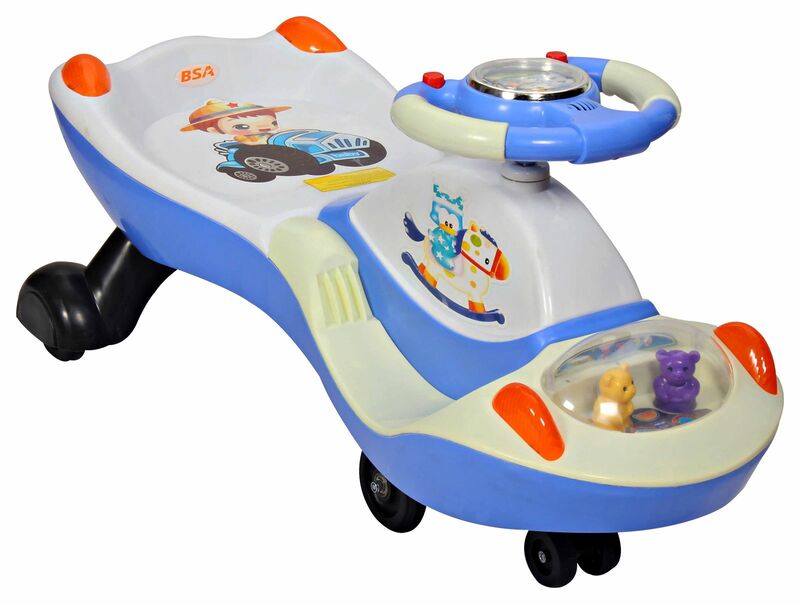 This car is suitable for both indoor and outdoor play where surface is even and smooth. Hassle free and economic, no battery or charging required.